So the annoying this about this is that in good lighting (second) you can barely see the middle threads, and they have the best designs! In poor light (first) I think it’s better because the aida isn’t reflecting / making shadows. I will have to try this sort of thing again, maybe with reds and pinks? 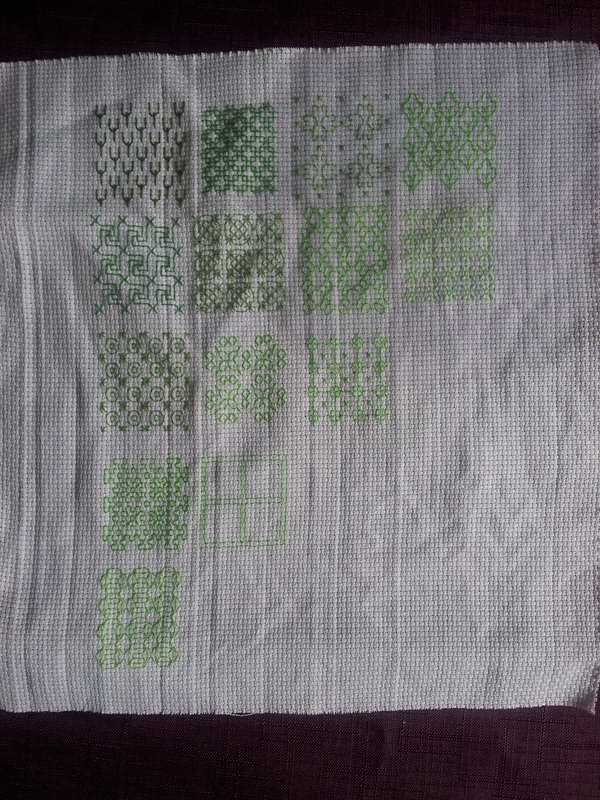 I’ve got six and a half squares to go so I will finish. It’s just a shame it didn’t work out so well. 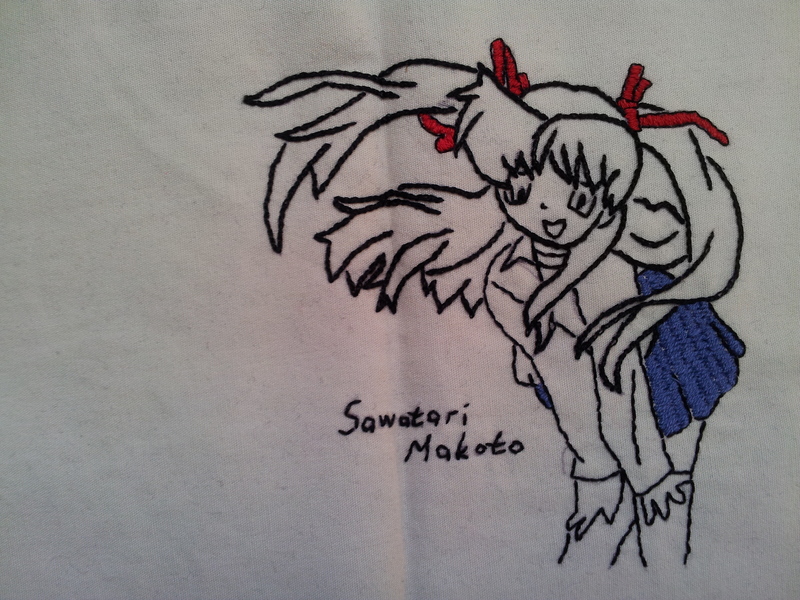 Yay I finished the curtain! 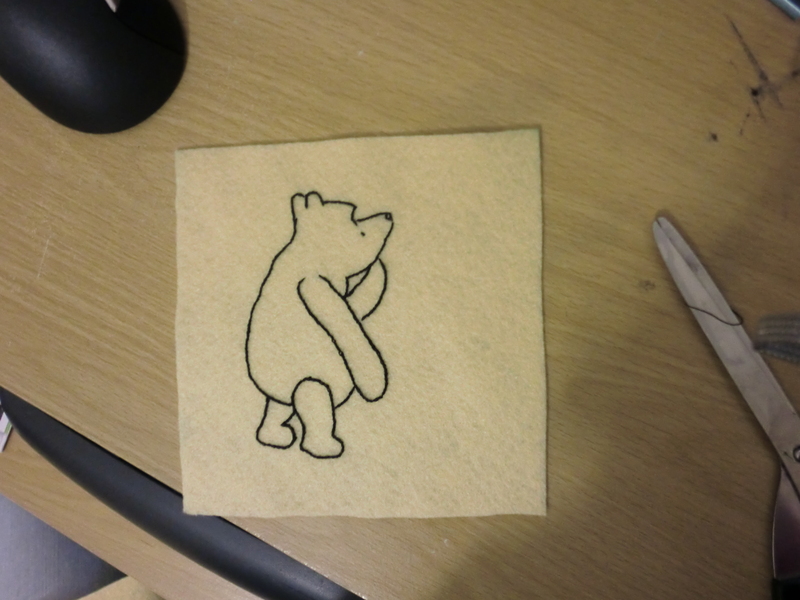 So hours later and it doesn’t look like I’ve got much further! 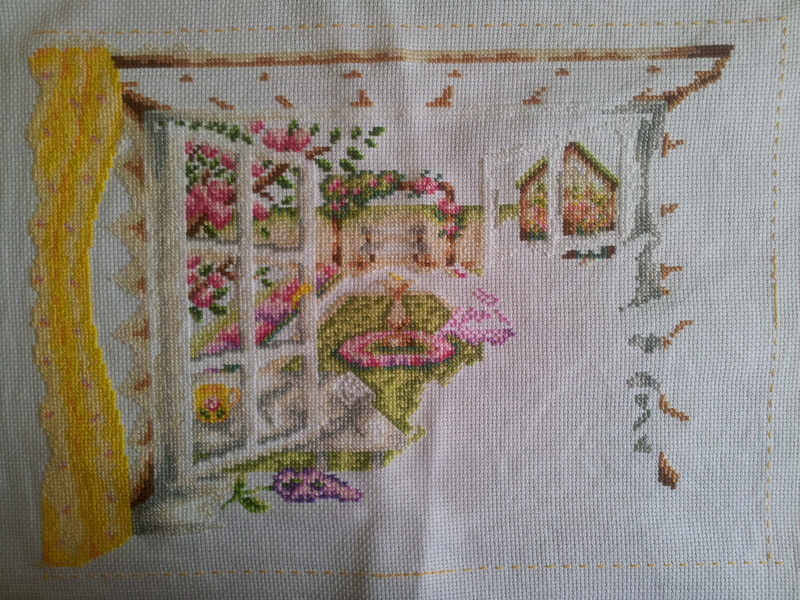 The main achievement is that I’ve finished the left-hand curtain! Phew. Took me ages! I’ve also started to add to the window ledge. I’m trying to move left to right here, but there’s a section at the very bottom (about 15 stitches high) that’s on a different page, so I will probably leave that for last. 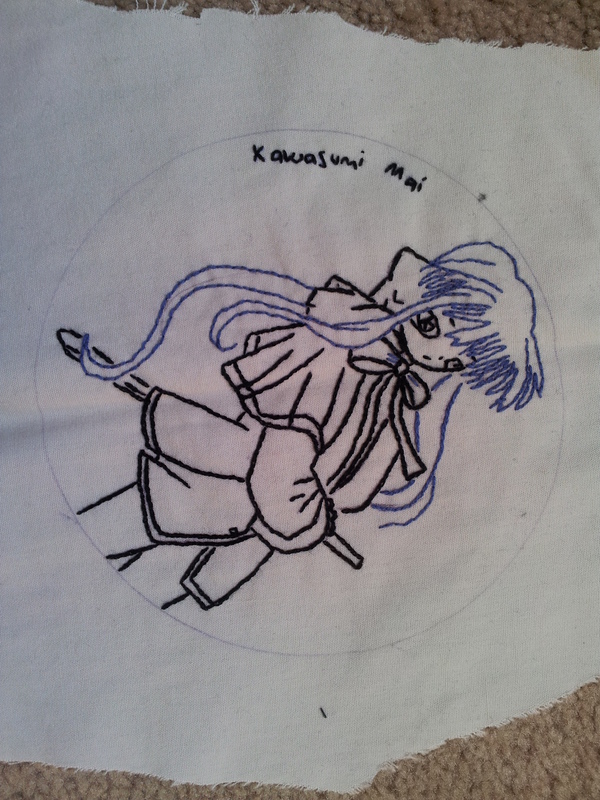 I also finished the flower at bottom; I like having a motif (?) to complete, it gives me a sense of achievement, rather than just doing endless shading all the time. However I realise that if I do all of the pictures and none of the shading I will be stuck with months of shading at the end. 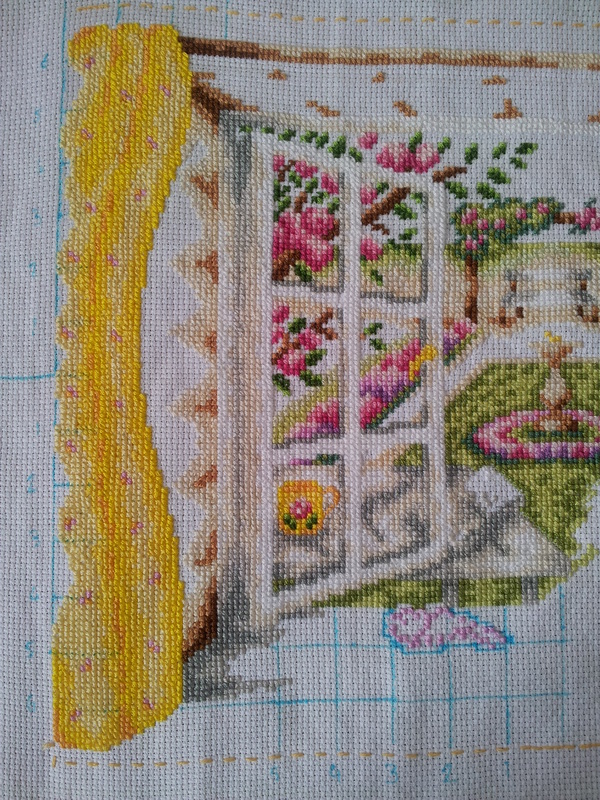 With this in mind I’m working on the top of the right-hand window but also the shading around the top of the window. Mixing it up might help keep me going. I started this over the summer and managed to finish it off this weekend. It will be an interchangeable cover along with my ‘summer’ one. 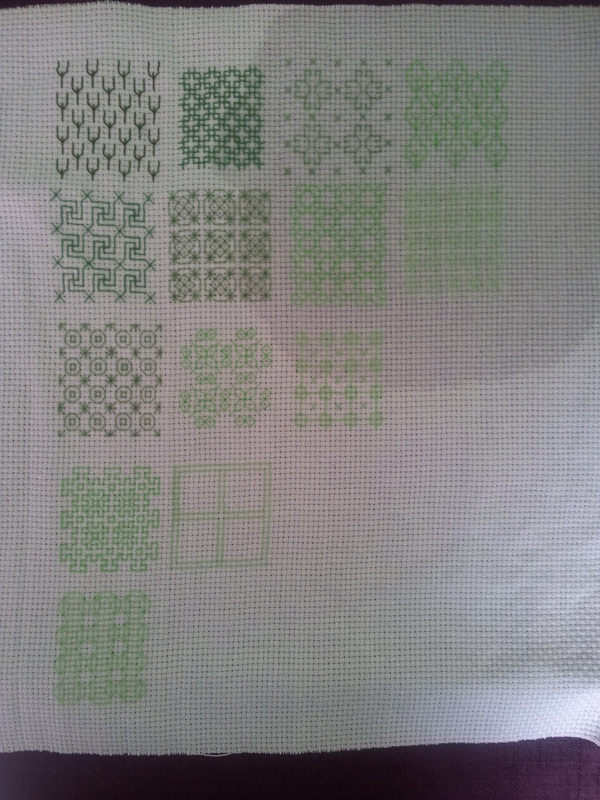 I hope to do spring and autumn when I find good patterns! It has a zip and a funky spotted back.